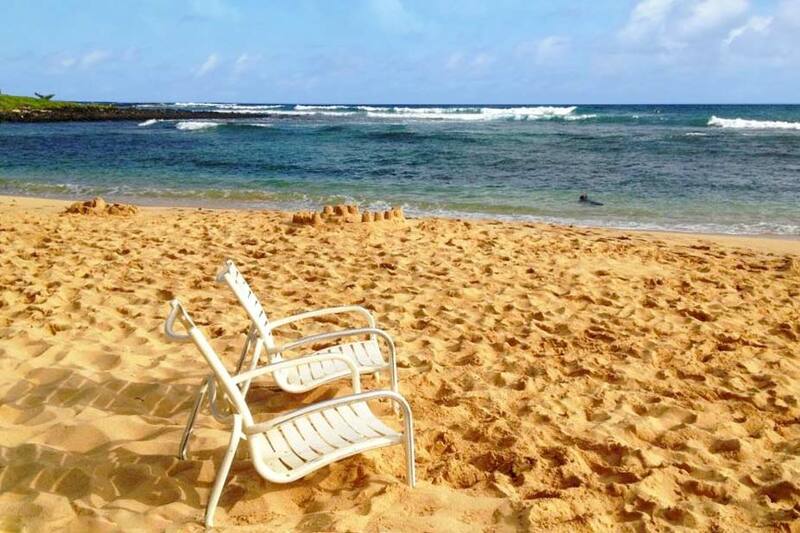 Welcome to Poipu Beach! That's Kiahuna Plantation in the background of the photo below. Watch a video of the walk from the west entrance to the beach. 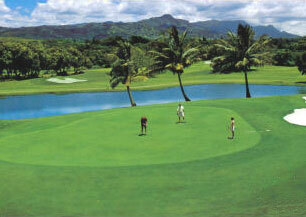 The Kiahuna Plantation Resort is located between the Kauai Sheraton Hotel and the new Marriott Waiohai sitting on Poipu Beach, Kauai. Brenneke's Beach is just a short walk along the shore from the beach at Kiahuna. Along the way you will most likely see Monk Seals and at certain times of the year, you might see a whales. There is a popular island seafood restaurant there also, aptly name Brenneke's Beach Broiler. 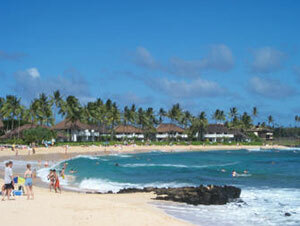 Poipu Beach has won many awards over the years. Below is a quote from a noteable beach reviewer. Leatherman, AKA Dr. Beach, states in his scientific poetic description "This coral beach is known for its light golden sand, which blends nicely with the crystal-blue water," he says. "It is perfect for a range of activities because of its unique 'tombolo' shape, wherein flat water gradually grades into a pulsating surf. One of my favorite activities is snorkeling with the beautiful tropical fish in the protected waters". We are saving your spot. Someone needs to finish this sandcastle.